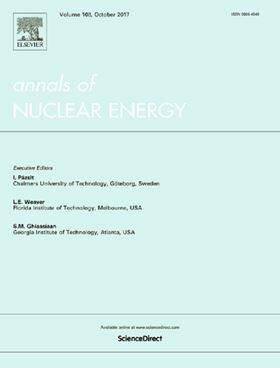 The research article 'Study on shaft-block under small break loss of coolant accident of nuclear main pump' has been published in Elsevier journal Annals of Nuclear Energy (Volume 131, September 2019, Pages 344-352). To make sure that the reactor could be well protected under various accidents, hypotheses shall be made in design of the reactor to address possible accidents. Currently, the studies on shaft-block under small break loss of coolant accident (SBLOCA) are insufficient. This paper could provide more reference to this field. Firstly, external characteristics before and after the shaft-block accident under SBLOCA are obtained through experiments. Then, computational fluid dynamics (CFD) analysis is used to analyze the change of inner flow and the interaction between SBLOCA and shaft-block accident of the nuclear main pump. This paper shows that after the shaft-block accident happens, the speed of the main pump is reduced to zero quickly, while the disappearance of the flow takes a longer time. While the impellers are slowing down, different parts in the blades lose the ability to transfer energy to the fluid one after another, which in external characteristic is demonstrated with the head and torque reducing to negative values successively. Relatively significant change in the inner flow field of the pump happened in the shaft-block process, and clear regular change pattern could be found in rotor and stator blade interaction. The impact of SBLOCA on the shaft-block accident of the nuclear main pump is mainly on the external characteristic changes in the early stage of the accident, and the higher the extent of SBLOCA is, the more significant the impact will be.